9 a.m. in the beautiful city of Varanasi, India. PWB team wakes up at by the side of the river Ganges, stretches its bones and proceeds to the upstairs café for the morning meeting. We sit around the table bright-eyed and bushy-tailed to plan our workshops, rehearsals for the show and have some breakfast and say “good mornin”. Then it’s off on our bicycles to workshops! In the mornings we worked with Duniya School, a Dutch charity, working since 1996 they’ve helped the residents of the Nagwa slum have access to health and education. Alongside this Duniya Foundation distributes blankets to widows, the infirm and local families, provide food and extra curricular activities for the kids at the school and outreach projects in the community. Raj, Nisha and the staff at Duniya really show a great interest in the development of their children and do regular social and after school activities. This was evident from the start when the staff all joined in on the workshops, their intention to learn so they can help the children where they can. 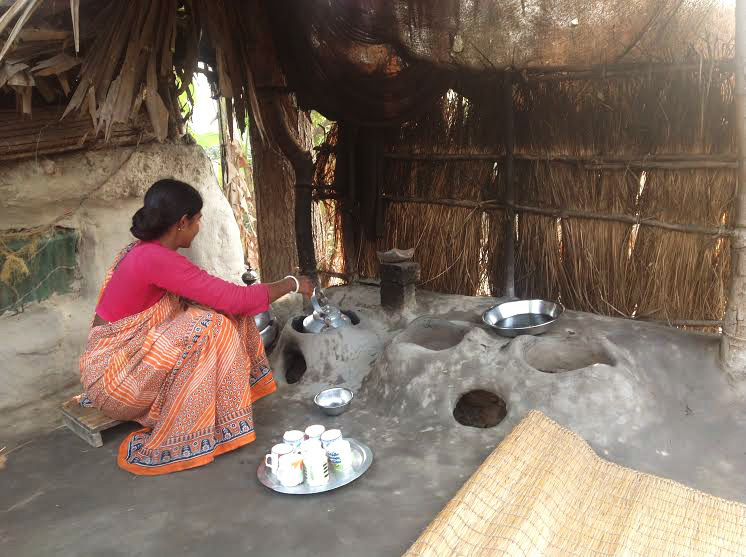 Everyday a home cooked lunch is provided to all the children (in our opinion the best tasting food in Varanasi). The PWB team decided we would give more workshops with this organisation based on our shared interests in the community spirit and commitment to children. The teaching space at the school was small and during these sessions we would do workshops based more towards the performance aspect rather than the prop such as clowning, mime or theatre. As an extra treat- twice a week we would go to a quiet square overlooking the river Ganges. This provided us with ample space to teach some hula hoop, poi and juggling workshops. The children really enjoyed the workshops and you could see the excitement exploding inside them every morning upon our arrival. Teaching these kids was an absolute pleasure; the teachers were always on hand translating and getting involved, the children well behaved and eager to learn. We ended up donating a good portion of our PWB kit to Duniya School knowing that they would continue to bring out the props and encourage their children to play and learn these fun new arts. We knew this was the right decision when Coco and I went to the school a couple days after the project ended to drop of some last pieces of equipment. We found the school filled with children laughing and playing with the various circus props we had donated a few days prior. This is the kind of partners that PWB are looking to work with engaged in circus skills, to explore the physical and mental potential of the children while having great fun! 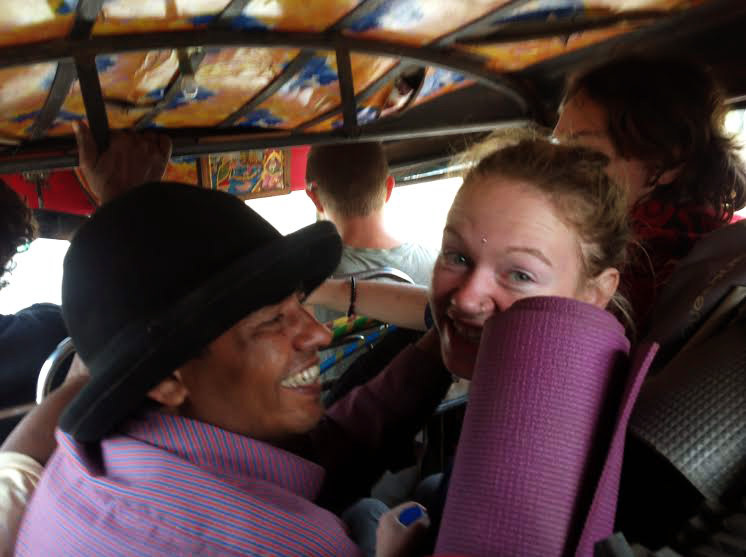 We meandered through rice paddies on rutted paths, clinging onto circus equipment as the autorickshaws bumped and jolted us to our destination. Past the jewel colours of sari clad women carrying pots atop their heads, past laughing children, lotus flowers and wandering buffalo we sped, ever more distanced from the chaos and smog of Kolkata. We were embarking on a very special trip arranged by Abani, a schoolteacher from Kolkata, to his home village of Fulbari. Racing against the setting sun, we arrived just in time to perform our fire show to an eager crowd of villagers. Nightfall brought impromptu circus workshops and dancing with the impeccably behaved children, illuminated by the light from Fulbari’s Christian church – one of the few electric lights in the village. 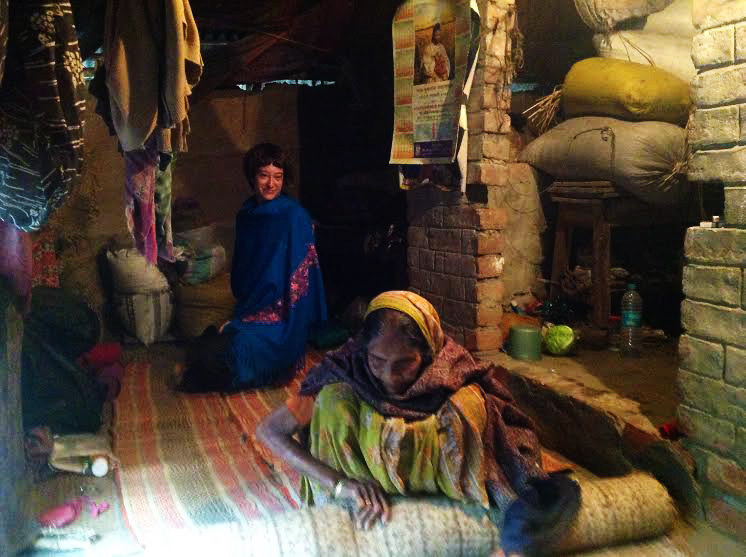 After a delicious dinner cooked by the women in ovens of moulded clay and eaten in traditional style with the right hand, we bedded down in earthen huts on mats of woven palm leaves, lulled into sleep by the sound of cicadas and softly muttered Bengali prayers. And so our magical adventure came to an end. The serenity of Fulbari was no more and the return to Kolkata hit us like the swirling dust, the blaring horns and the tangy aroma as we stepped off the train and into a different reality, just as thousands of Indias do for the first time every day. The last few days in Kolkata were spent teaching last workshops and distributing equipment to the homes we had been working at for the past three weeks with the Hope Foundation – the boys’ and girls’ orphanages, boys’ rehabilitation centre and various Nabadeeshas (day care centres for street children). Our last day saw us performing our show one last time for a special day out at the Hope Foundation Cafe, before heading out for a group meal to celebrate the completion of the project. And so a chapter ends, and a new one – in the holy city of Varanasi – begins. Bidaya Kolkata, we’ll miss you! 8am is circus time! 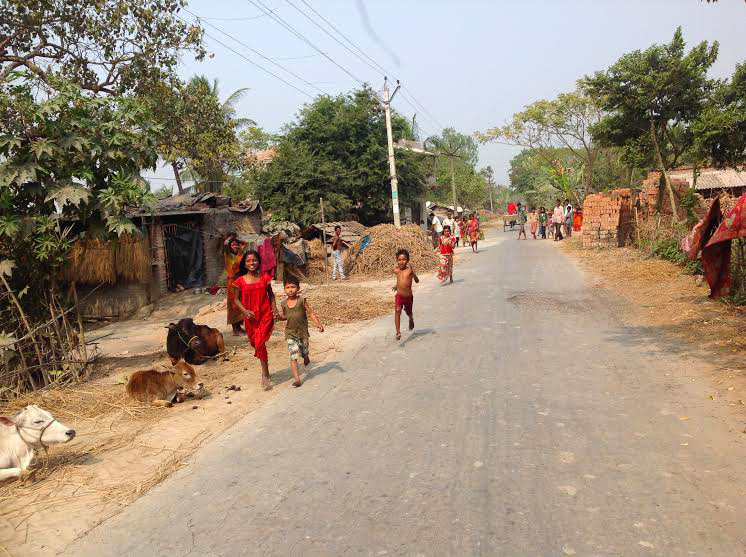 Children in Fulbari village. PWB volunteer Ashley with Abani’s mother. PWB coordinator Abi with schoolteacher Abani. Nothing can really prepare you for arrival in Mumbai. Finding words to describe this city is no easy task. Crowded, noisy, polluted, smelly and chaotic but at the same time it is full of culture, beauty and friendly people. 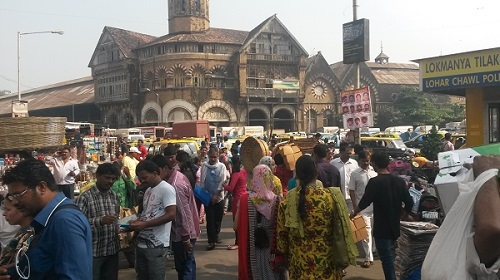 Mumbai is the wealthiest city in India and has a population of about 20 million inhabitants, of which roughly 55% live in slums / informal housing. The divide between rich and poor is very evident here. People sleeping in the streets, is the accepted norm. Poverty unfortunately is a way of life for millions of Indians and a big reason why we are here. To work with those kids who have very little, and bring them some joy and skills that might empower them to a better future. With us all arriving in Mumbai we had a couple of days to explore the city and adjust to this exotic new world. This gave us all some perspective on what lies ahead and the task we have set out to achieve. But before we start work with the kids, we were off to boot camp in Gokarna, a 12 hour train journey South. We arrived in Gokarna early hours of the morning, dazed and tired from our long train journey. 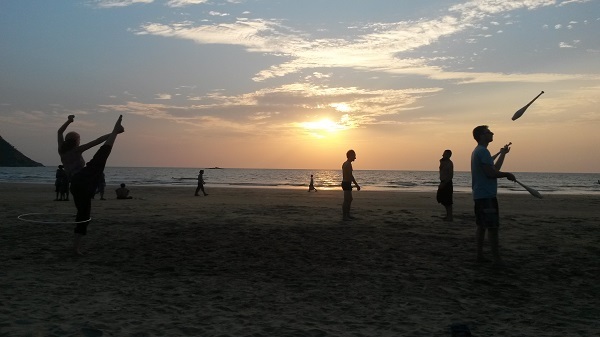 Awakening to our first day in Gokarna was surreal. This was not the utter chaos of the city instead we were greeted to a tropical paradise. Warm sandy beaches lined with palm trees and small restaurants. We were however not here for a holiday this was boot camp and we quickly got into a 9 – 5 routine. 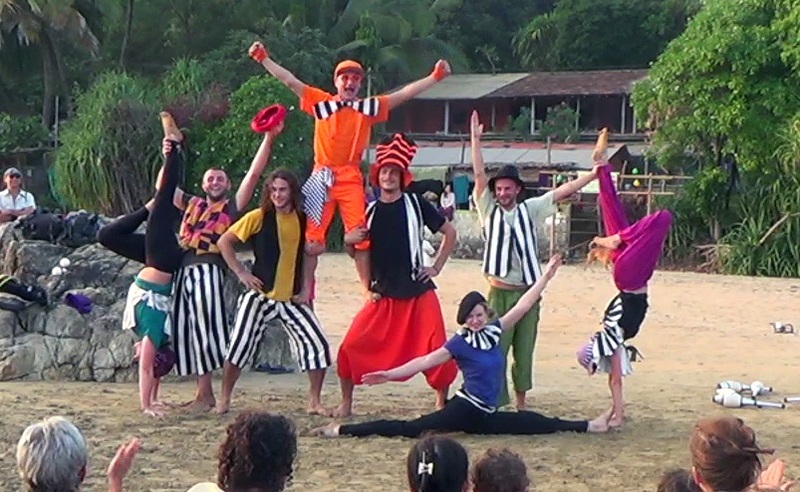 We had two weeks in Gokarna in which we got to know each other better, creating a fun circus show that we would be performing across India and taught each other new skills through workshops. At the end of our two weeks of hard work (in paradise), our show was finally ready: The Mad Hatter’s Chai Party. We performed on the beach to an audience of about two hundred tourists and locals and used this opportunity to do some fundraising for PWB. We managed to raise just over 14000 (approx. £140) rupees by passing a hat around. Hi There! (In Hindi) Namaste – Mera Nam Abi. I am the coordinator of this years India tour. I perform Hula-hoop, Fire Dancing and acrobalance but my favourite is prancing around with any prop. I am so excited to start this years tour as I have so many fond memories from volunteering on the last tour. 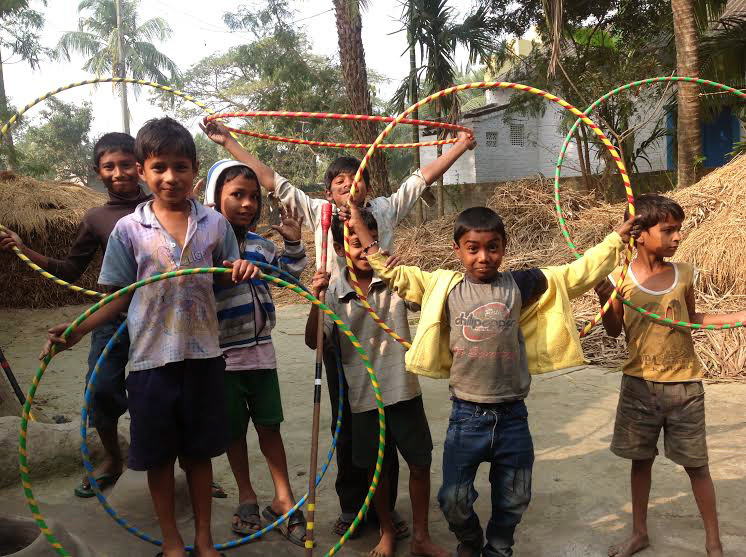 I am taking a break from teaching at Cambridge Community Circus to teach the youth of India. I am especially looking forward to teaching aerial with the Vertical Circus in Delhi. Giving smiles, energy and joy, spreading PWB circus love all around the world. I have been performing and teaching circus arts for over 7 years. I am a juggler / acrobat. I am VERY EXCITED to be working to help bring joy and self confidence to vulnerable children in India. Hi I am Bruno and I am a professional fire dancer and flow artist from South Africa. I have been performing and teaching my arts for 5 years. Performance arts changed my life and gave me the self confidence to do anything. I hope to share these arts with the underprivileged children and empower them to a better future. Hi everybody! I’m Coco. I’ve been juggling for about 10 years, doing some theatre in that time, enjoying travelling, making friends across the world, performing shows. Working with people makes me happy, and I think everybody has a little performer inside them, all they have to do is bring it out and enjoy themselves. Namaste! My name is Ashley and I am a circus performer specialising in Hula-Hoops. I spend a lot of time street performing. I find it richly rewarding to spread joy where it is least excepted. I hope to achieve this by teaching circus skills in India. I’m Claudio from Berlin, I mostly do Juggling, Object manipulation and balance. I really love sharing that joy with children, to have fun with them and let them explore this amazing world of circus. Hola! My name is Gary, I am an Idiot. I come from a beautiful country in England called ‘Cornwall’. It is a very special place with many eccentric people. I like one day to be an astronaut and be the first Cornish man on the moon. I will make a sandcastle in the space dust and live happily ever after with my moon-wife and bicycle. The End. You are currently browsing the archives for the India 2014 category.